Legion Brewing’s beer will win over customers, but it’s going to be a wild ride to watch this brewery develop an identity in SouthPark. Legion Brewing built their brand in a notoriously hip, artsy neighborhood dripping with personality. It’ll be startling to see them enter a stark corporate building in one of the city’s yuppier neighborhoods. 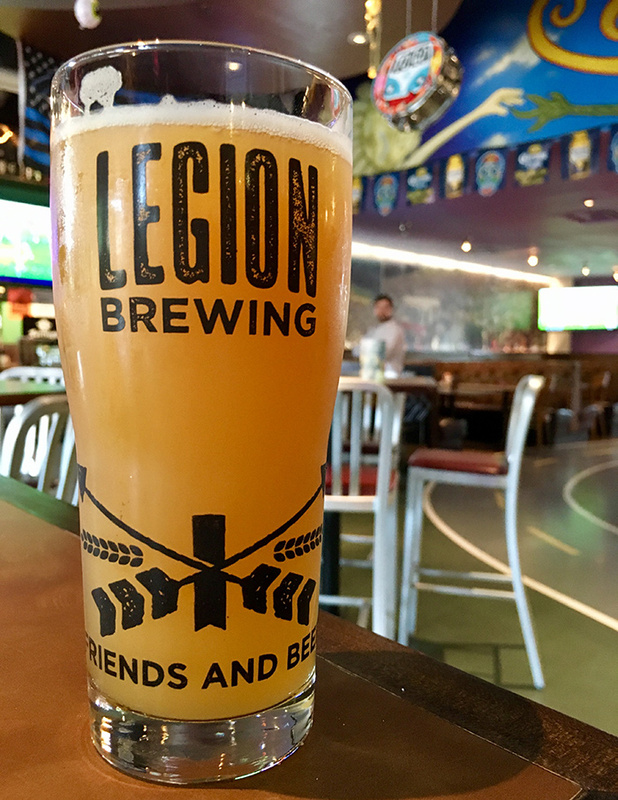 I love the idea of a SouthPark brewery as evidenced by my February “SouthPark needs a brewery” column, but I have to say that Legion Brewing’s new SouthPark location is bad. It’s in the bottom of the 500,000 square foot Capitol Towers Class-A office development. So corporate. It’s been vacant for a while, so I bet they got an excellent deal. The architecture of the building reminds you of a place you’d go to buy insurance, not an IPA. I’d love to see more of a focus on outdoor space — whether it’s patios or rooftops, just like Reid’s SouthPark has done across the street. Plans call for a 2,500 square foot outdoor space, but so far, it’s clear that the outdoor space isn’t the focal point of the brewery. I expect more focus on the outdoor space as plans evolve, but you can only do so much given the building. 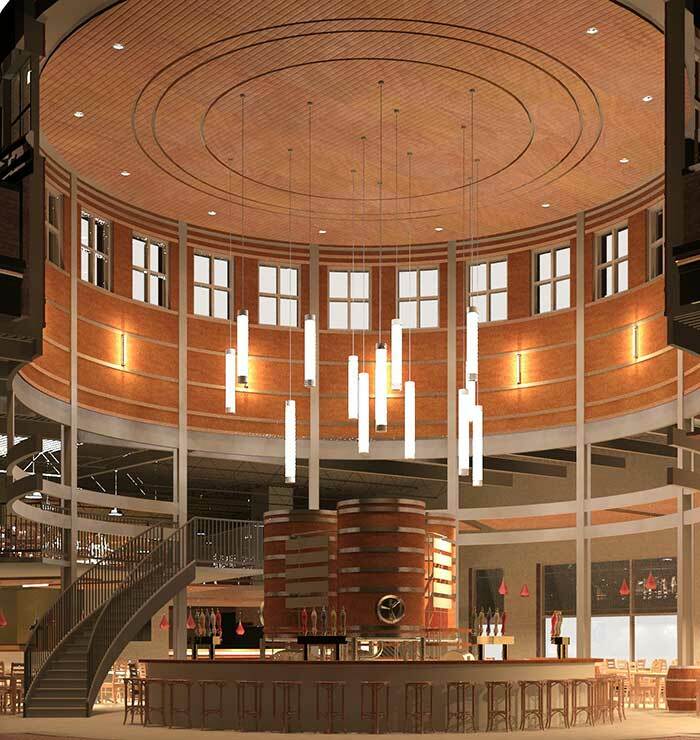 Rendering of what the Legion SouthPark tap room bar will look like. Another thing that’s easy to miss is that 4,000 square feet out of the total 8,500 square feet space will be event space. Corporations love trying to be hip. And what’s hipper than breweries? Nothing. I expect their events business to boom. Additionally, the menu at Legion Brewing’s new SouthPark location will confuse people. Is it a restaurant with a brewery or a brewery with a restaurant? Wait, it’s a taproom. I think. The taproom (I’m calling it this) will offer fancy dishes like skirt steak, zucchini pizza and pickled shrimp. Very far from the typical food truck option at most breweries. That said, I respect the food program Legion built with Roots at their Plaza Midwood location, so if any brewery can pull it off, it’s them. Is Legion Brewing SouthPark a date spot? Is it a happy hour spot? Is it a Saturday afternoon spot? Watching their identity develop will be fascinating. My bet is that it’ll be viewed as a Duckworth’s for rich people with outstanding beer — which is good positioning. 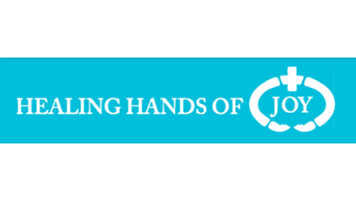 “We intend to stay true to our company values at our new location in SouthPark. Our original location in Plaza Midwood is a community hub where old and new friends connect over good beer,” said Phil Buchy, managing partner of Legion Brewing Company, in a statement. Phil is making a big bet. A $2 million bet. Damn. But that’s what entrepreneurs do. And despite the menu and corporate location, Phil and his partners will be printing cash when it opens in fall of 2018. Not at the taproom cash printing levels of Sycamore Brewing and OMB, but it’ll be a financial success. After afternoon time with the kiddos at SouthPark mall’s Lego and Disney stores, suburban dads will drink Juicy Jay like it’s Gatorade after football practice. Why will Legion Brewing be a financial success in SouthPark? Legion Brewing’s beer is really freaking good. Great product always wins in the long run. Their head brewer Alexa Long is killing it. Hat tip to her. Plaza Midwood neighbors love Legion beers. Fratty Selwyn Pub types love Legion beers. And the annoying beer snobs love Legion beers. Let’s be honest, Juicy Jay is the most drinkable beer in Charlotte right now. I could drink it for days on days on days. 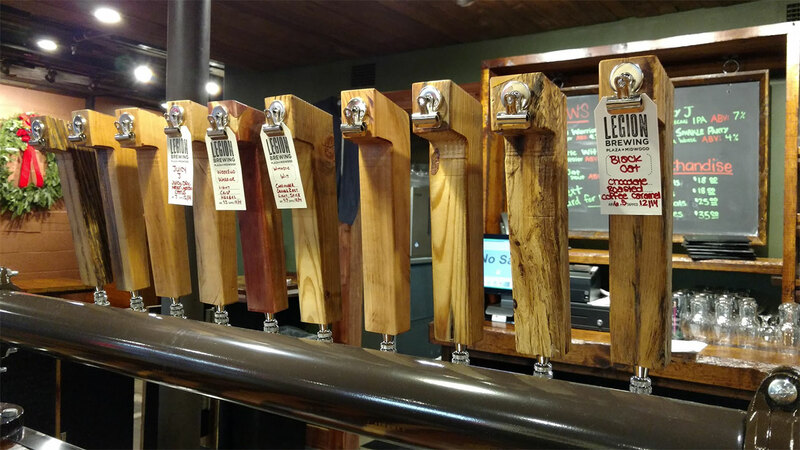 While it’s by no means a slam dunk, Legion Brewing will be a success in SouthPark. The real question now is which brewery will be the first to open a satellite taproom in Ballantyne? Dark horse: Wooden Robot.